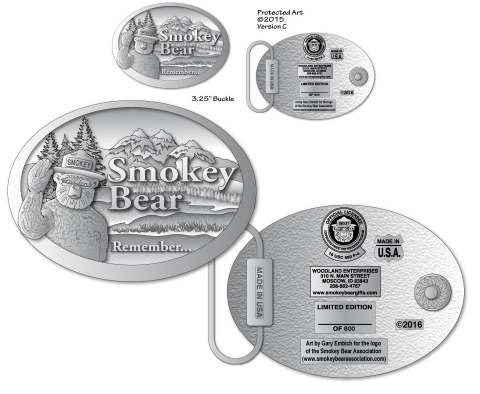 This year's design is by Gary Embich based on art he created for the logo of the Smokey Bear Association. Only 800 produced, each individually numbered. BUCKLES ARE NOW IN STOCK!